Producing only 38dB of noise, the SuperSilence Plus design minimises vibrations and allows you to relax without a noisy appliance in the background. 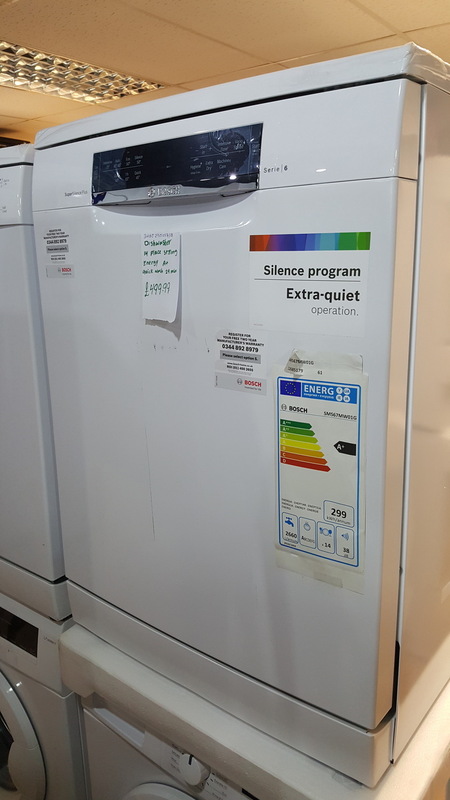 Made even quieter with the Silence program, this appliance fades into the background while your kitchenware is cleaned. Keep your glassware sparkling for longer and protect against breakages with the Glass 40°C wash, which provides a gentler wash cycle and drying process. 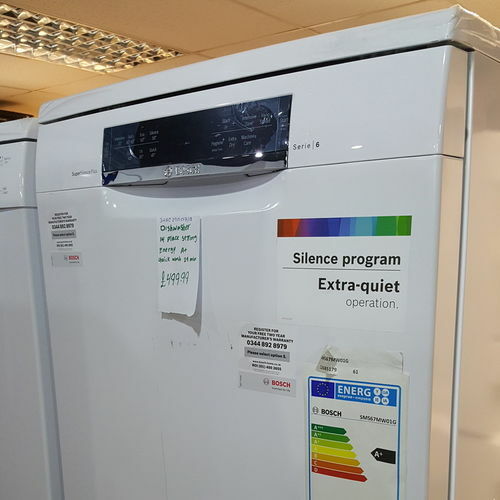 Offering a generous 14 place setting capacity, you can wash more with each load as this Bosch Serie 6 SMS67MW01G Dishwasher features VarioFlex baskets. Provide greater room for cups, saucers, and cutlery by moving shelves and racks to your convenience. You can also remove sections to create larger spaces for bulky pots and pans.